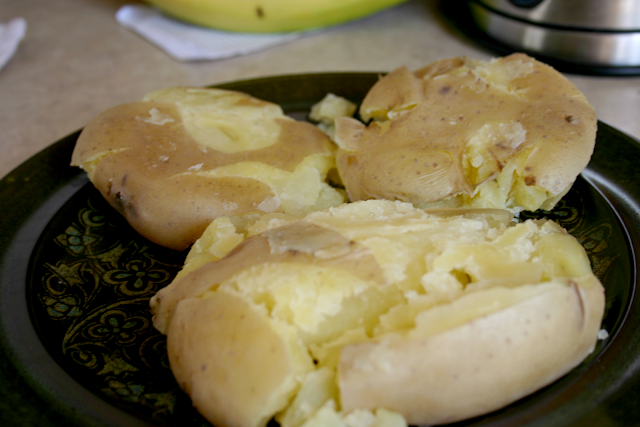 I have another great potato recipe for you all!! Are you excited? 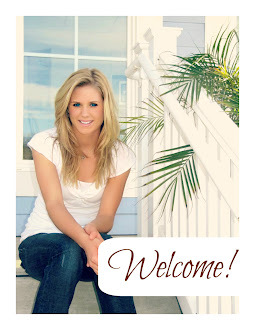 I'm excited to share it with you. This has been a favorite of mine forever. Like for-eve-rr. It's so easy too, that's number 7045 why I love this recipe. Now tell me that's not easy. 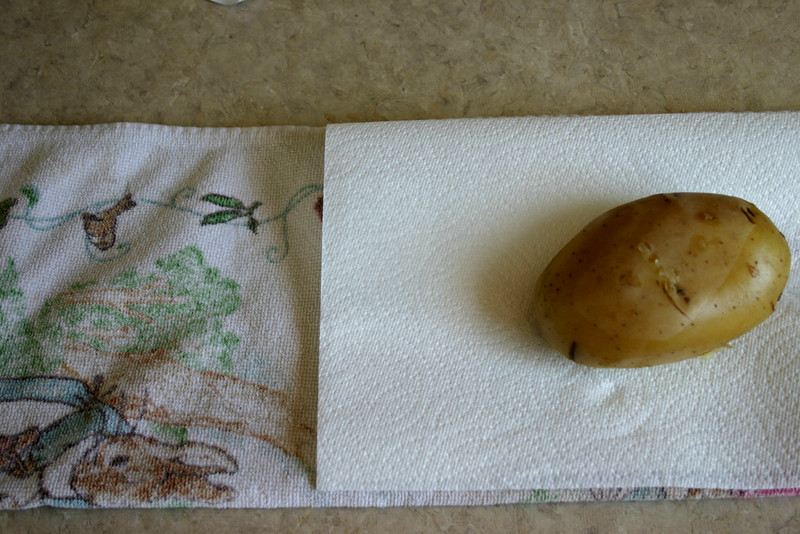 Okay, so to start we are going to boil our potatoes for 35 minutes, depending on their size. The goal is to get them nice and cooked through without being too mushy. Now let's set up this little layout. 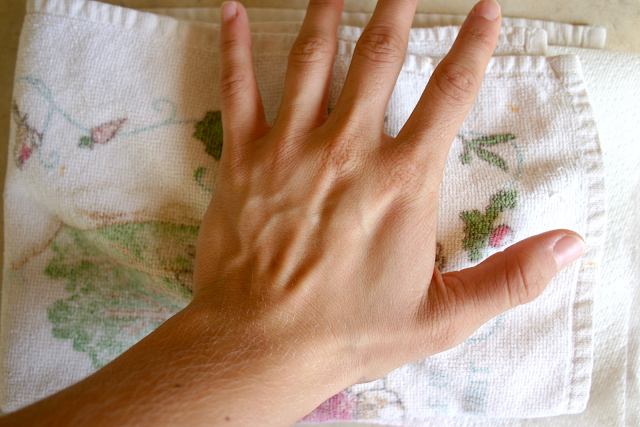 A clean dishtowel folded in half longways, and I put a paper towel down to try to minimize crumbs. 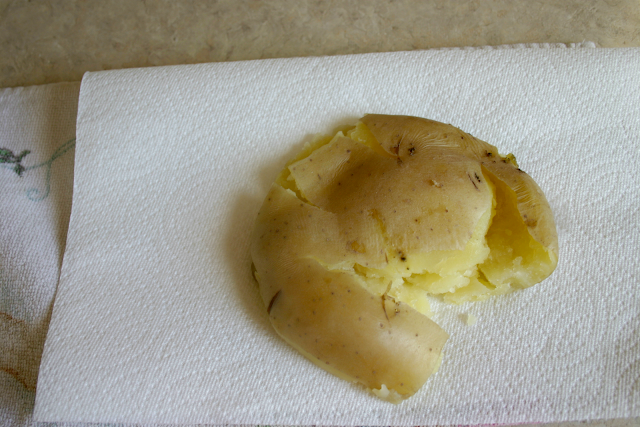 Fold over the dish towel over top of the potato, and press down until you feel it smash. I have to admit, this is my favorite part. If it breaks apart a little, that is just fine you can just press it back together a little, no worries. 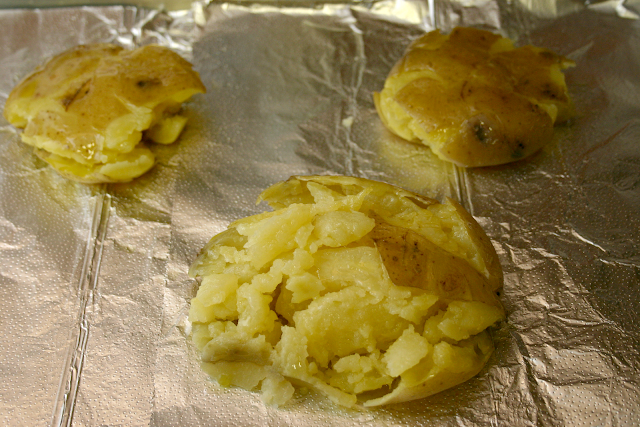 Put those babies on a plate, cover them, and slide them in the fridge overnight, or for a few hours. Now just before you start to on the rest of dinner, prepare a baking sheet with foil, and coat the potatoes with a drizzle of olive oil, top and bottom. If you forget the bottom, you're going to end up with foil stuck to your tots. After the olive oil is on there real good, just sprinkle on your spices. I use sea salt, pepper, and a garlic spice mix that I also use for my garlic bread. It's deeelish. So pop those guys into the oven at 400 degrees for 35-40 minutes until they look browned and crispy on the outside, and carry on with the rest of your meal. This is what they'll look like then they are good and done. 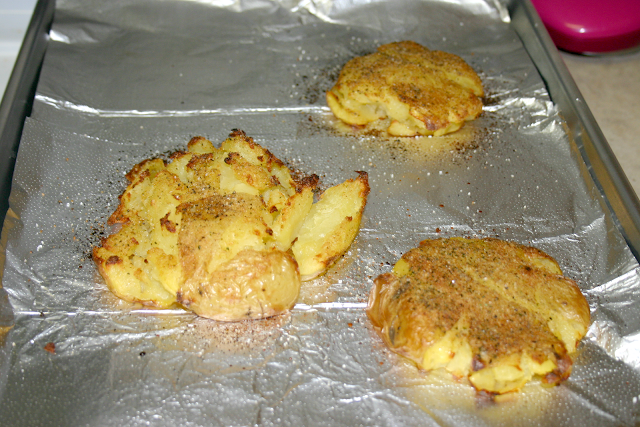 Mmmm, potato heaven. To complete this side dish I use cholula or if I have it, Homemade Salsa. Perfection. 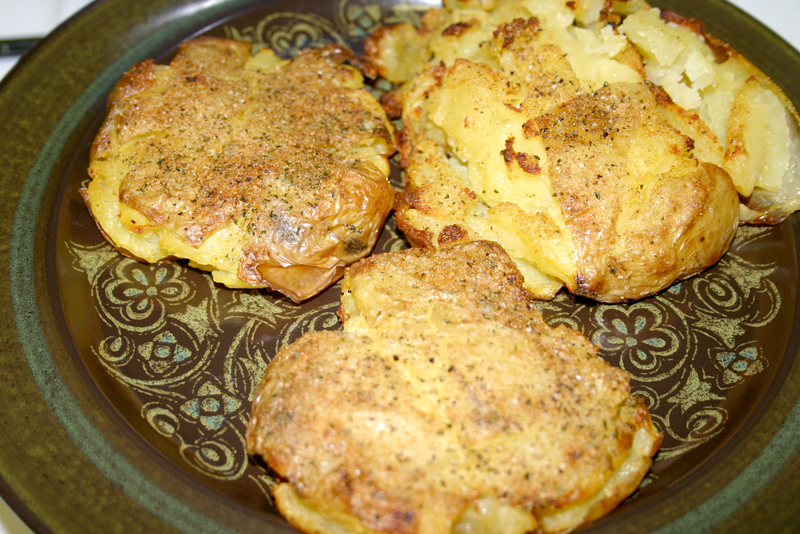 Oooh I adore potatoes and these look SO YUMMY!